Daniel is currently a NERC funded PhD researcher at Durham University working under the Supervision of Prof Rus Hoelzel, Prof Oscar Gaggiotti and Dr Per Berggren. His funding comes through the IAPETUS Doctoral Training Partnership. 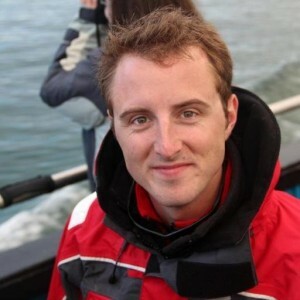 Daniel’s research focuses on the role that environment has on shaping the population structure and evolution of marine vertebrates; as relevant to the cold polar regions as it is to the warm tropics. By using next generation DNA sequencing techniques to examine the population structure of two species, the bottlenose dolphin Tursiops truncatus and the yellowmouth barracuda Sphyraena viridensis, across the Mediterranean and Eastern Atlantic he hopes to understand the patterns presented using environmental modelling and trophic information derived from stable isotope analyses. Whilst trying to capture a pan-Mediterranean picture Daniel is focusing on the Siculo-Tunisian & Almeria-Oran Fronts which are marine environmental transition areas with either side exhibiting differential underwater topology, water temperatures, water current flows and depth. This research is important from two perspectives. At two scales it is important for conservation. Locally, understanding population structure allows us to make best use of limited conservation resources. This is especially true in an increasingly busy and industrialized Mediterranean and where threats to species are often point focused. On a more global scale understanding how the environment impacts evolution or population structure is essential to helping us predict future impacts of a rapidly changing world; this may be of particular importance in the polar regions where this change is happening much more rapidly than anywhere else. From an academic view understanding the drivers and mechanisms for genetic differentiation, formation of population structure and speciation is a fundamental challenge in evolutionary biology. This is especially true in marine systems where boundaries are often indistinct, temporary or have no physical barrier to movement. Daniel’s research study area. The Almeria-Oran front is shown by the solid red line. The Siculo-Tunisian front is shown by the dashed red line to represent its temporal nature.